Australia Immigration offers plentiful chances for the overseas skilled people those who are willing to begin a new life in Australia. The Australian department of immigration has pioneered a new program called as the SkillSelect program or new skilled migration program. Applicants who are interested can submit an application for this program by submitting an Expression of Interest. The main purpose of this SkillSelect program is to attract the attention of highly skilled overseas citizens for migration to Australia. This program is an automated process with two steps usually the candidates submits an application for skilled migration program and based on the application they are invited to apply for the visa. 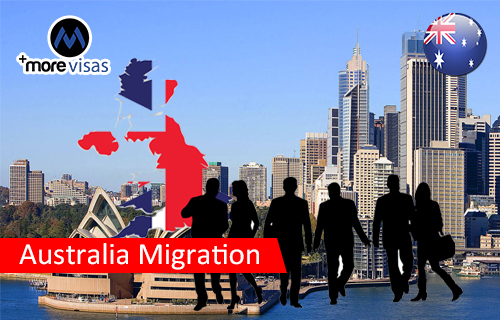 Australia immigration allows the skilled foreign migrant to migrate to this nation. There are a variety of types of options accessible for the overseas nationals for migration to Australia. The type of visa you request will depend on the number of points you score DIBP’s point’s test. If the candidate is presently existing or working within this country but the exterior of Australia, he/she may not be qualified for State nomination. Significant Investor Subclass 188 Visa: This is a four-year temporary visa for people enthusiastic to make a million investments in this country. Business Visitor Visas: one can apply for a business visitor visa. If they want to visit Australia for 3 months or even less just to attend meetings or to investigate business opportunities etc. Business Innovation and Investment (Provisional) Subclass 188 Visa: This is also a four-year temporary visa accessible for both investors and business owners. Other Australian Visa Types: There are further 100 diverse Australian visa types depending on your situations and circumstances. Skilled Workers: If the candidate has a work experience as a manager, professional, or tradesperson they are qualified for Skilled Migration to Australia. Business Migration: If the overseas citizens desire to begin a business or invest they can get a visa to make possible and also they can meet the criteria for permanent residence once the business interests have been established. Family Migration: This is for a partner or any family member that you wish to sponsor to live in Australia. Corporate Immigration Services: This visa is for the business possessors and HR professionals who desire to sponsor workers to work in the country. Working Holiday Makers: Information on achieving a working holiday visa and how to reside on in the country once you complete your working holiday.